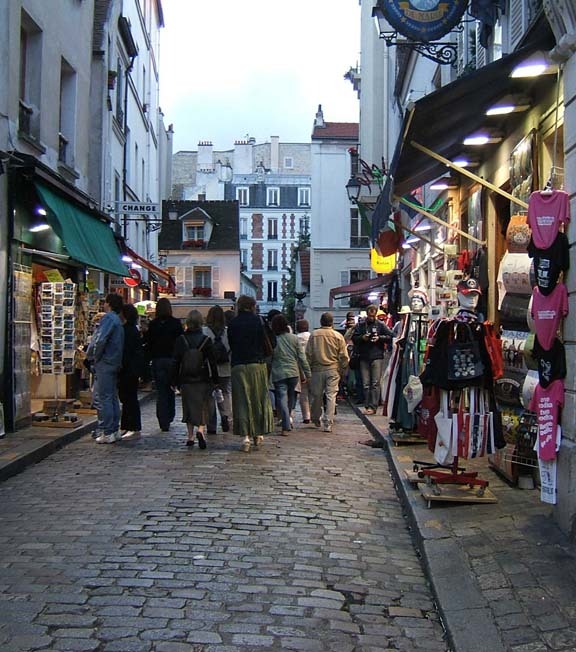 Even if you've only been in Paris a couple of hours, you're bound to hear some American proclaim in a loud voice, "Oh, I never go to [pick a spot]—there are too many tourists!" (And I can't help be think of the great line attributed to Yogi Berra: "Nobody goes there anymore; it's too crowded!") 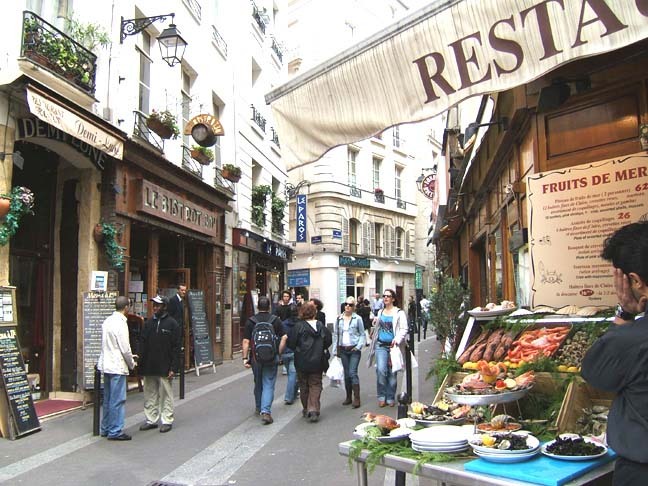 What should one's official position on tourists in Paris be? Well, I guess that depends on who one is, doesn't it? But let's think about this issue a little bit before we come down really hard on it. There are two very easy positions to take: (1) tourists prevent, by their very presence, the true spirit of a given locale from shining through; (2) there's no such thing as the true spirit, or authenticity, of a given place, so the presence or absence of tourists does nothing to it. To both of these, Tom says, "Horse hockey!" (apologies to M*A*S*H's Colonel Potter). Maybe there's no such thing as an "authentic" Paris—what would that be?—but it's certainly the case that the presence of people who come to a specific destination for the express purpose of viewing that destination and of consuming its products changes that destination. Think Disney: does any of us imagine that Orlando (or Anaheim, I guess) would look like that if it weren't for the presence of Mickey and company? Maybe I don't know what "authentic" Orlando looks like, but I'll bet if Walt had never put his roots down there it sure as hell wouldn't look the way it does today. Does that make it worse? Depends, I guess, on who you are and what you want. Try this simple test: would you want to live in Disneyworld? Clearly there are advantages and disadvantages, way more of one than the other, depending on your point of view. If I had to live there (and I'll lay my cards on the table and say that I'd rather not), I'd probably choose to live in Downtown Disney. Why? It'd make me crazy, personally, but there would be a number of services I could count on that would always be the same. That's what certain neighborhoods of Paris are like: versions of Disney. I'm thinking specifically of, say, portions of the Latin Quarter, or of the Place du Tertre in Montmartre. Because loads and loads of people come to these places with a specific image of what they ought to look like in mind—an image that's historically informed, perhaps, but for all that not culturally specific and maybe even with a bit of a temporal drag—the places have taken on the look and feel of those images, not out of any organic process, but simply because that's what people want to see. Does that make it wrong, or somehow not authentic? Beats me, but thinking of it like this helps me analyze my own opinions on the matter. So: the tourist parts of Paris. I admit I enjoy them sometimes. In fact, I was on the Place du Tertre just this evening, which is what made me think about this and jot this down. I did find a bit of it annoying, mainly because people were walking though it the same way they would walk through a shopping mall, with a sort of bovine detachment; but I also appreciated how beautiful it can be, in spite of that. So check out the tourist places, and don't feel too superior or too apologetic until you have your own position on "all those tourists" figured out. Tom's Guide to Paris. Copyright 2019 by Thomas DiPiero. All rights reserved.